If you are suffering from tooth loss, dentistry today provides you with many solutions. However, none come close to the versatility, reliability, and discreetness of dental implants. At Cosmetic and Implant Dentistry of Maryland, Dr. Jennifer Ouazana welcomes the opportunity to rejuvenate your smile through precisely-guided implant placement and finalizes your treatment with natural-looking restorations. Whether you’re missing one tooth or many, we specialize in providing skilled implant dentistry focused on rejuvenating the beauty, health, and function of your smile. For a reliable and comprehensive approach to replacing missing teeth, contact our team today! Our entire team understands the essential role a complete smile plays in everyday life, from chewing and speaking to laughing and expressing yourself with a big grin. With dental implants, we can provide complete tooth replacement from root to crown. Consisting of body-safe titanium posts, dental implants fuse with living tissue and bone. These posts act as artificial tooth roots which provides your jawbone with the stimulation it needs to remain healthy and strong. This function guards against bone weakening and the altering of natural facial features that comes with prolonged tooth loss. The benefits of dental implants extend from improved chewing and digestion to better self-confidence and oral health. Dr. Ouazana uses digital scanning paired with 3D-surgical guided technology to increase the reliability and success of your implant placement substantially. The surgical techniques we use are tailored to match the needs of your unique smile, and the guides we use are made specifically for your procedure. When planning is complete, our dental professionals place your implants and allow several weeks of healing for your posts to fuse properly with your smile. We then invite you back to complete your implant treatment with your custom restoration. We offer a range of customized options to finalize your dental implant placement. Our implant-supported restorations are crafted from quality porcelain materials, each designed to fit seamlessly within your smile. Crowns made for single-tooth replacement. These restorations mimic the strength and appearance of a natural tooth. Bridges capable of replacing rows of multiple missing teeth. Bridges are effective even where there are distinct gaps between natural teeth. Dentures supported by implants are firmly retained by the implants, offering a reliable replacement for up to an entire arch of missing teeth. 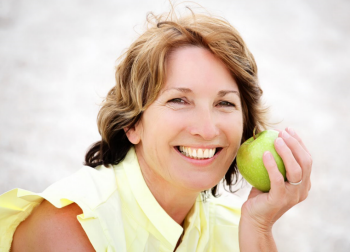 Are missing teeth interfering with your everyday life? Don’t settle any longer! Contact our experienced team for complete dental implant treatment with placement and restorations.